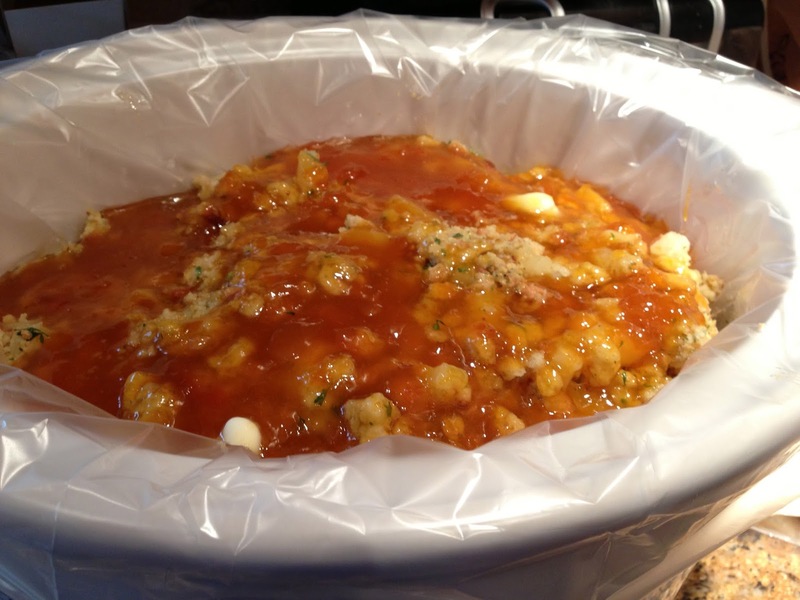 Easy crock pot meal for the family… Serves 4, or double it to serve 8 like I did when the whole family was on vacation together! 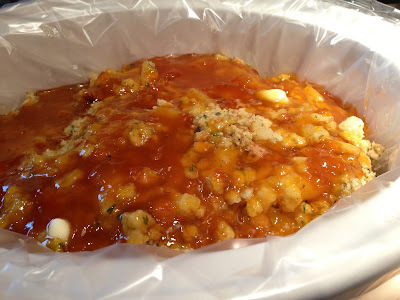 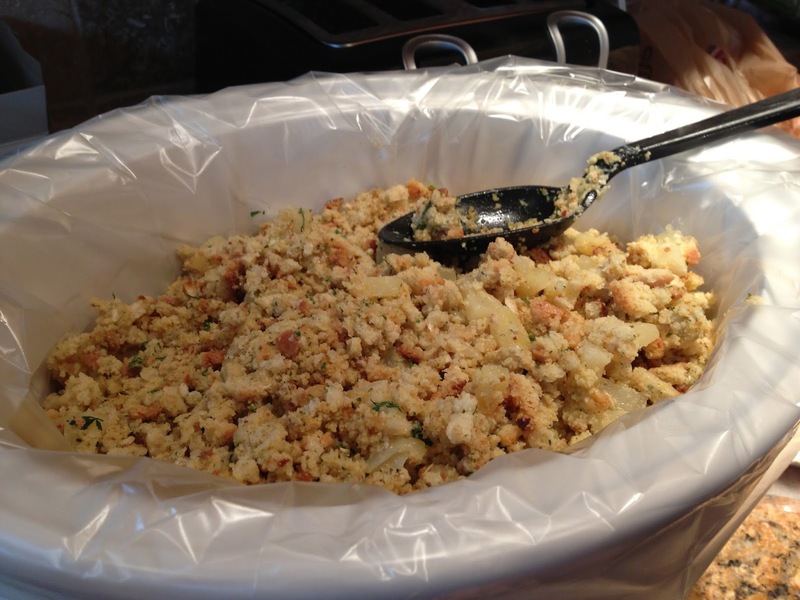 In a mixing bowl, make stuffing with 1/2 stick of the butter and the amount of water called for on box. 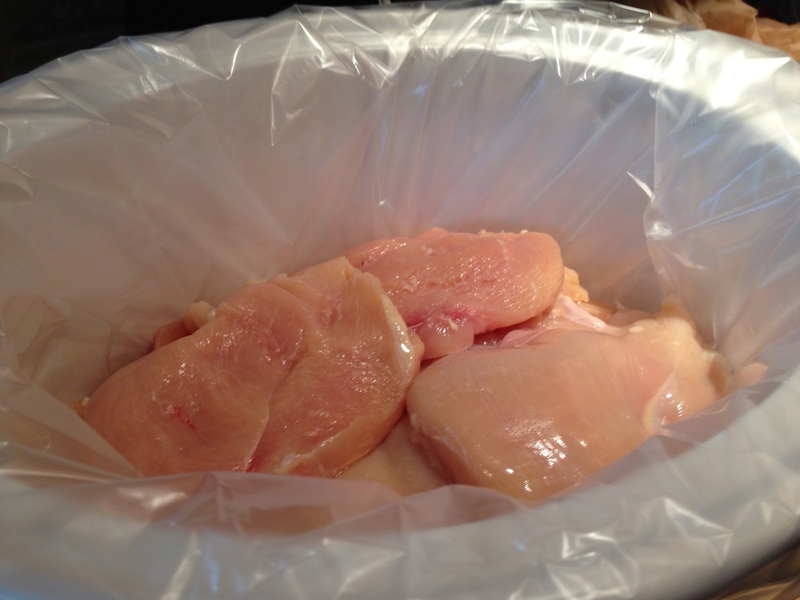 Place chicken on bottom of slow cooker. 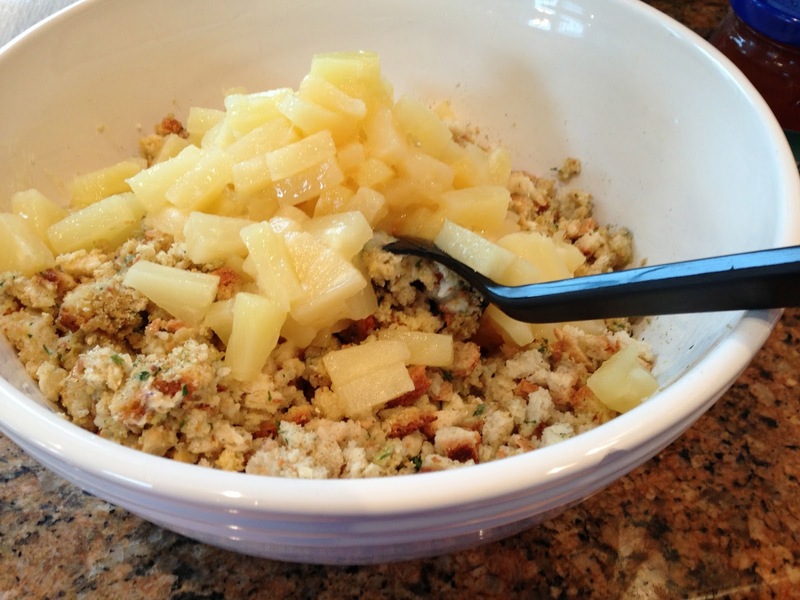 Spoon stuffing over top of chicken. 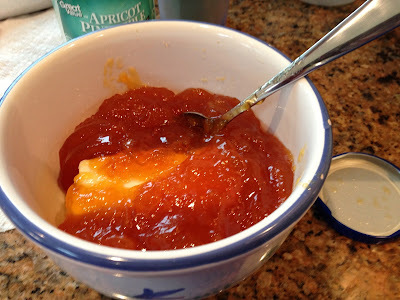 Melt remaining 1/2 stick of butter with the preserves in microwave or on stove top and stir, then stir in pineapples. Pour over chicken and stuffing. Cover and cook on high for 2 hours or low for 31/2 hours.